Dr. Gundry has curated his favorite products available on Amazon.com to help you stick with the eating program outlined in his best-selling books, “The Plant Paradox” and “The Plant Paradox Cookbook”. The BARIANI Extra Virgin Olive Oil, 16.9 OZ. A Dr. Gundry favorite. 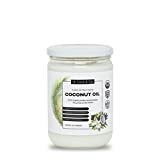 The Organic Coconut Oil - Unrefined Cold Pressed Coconut Oil for Hair, Skin, and Cooking (500ml). A Dr. Gundry favorite. The Brookfarm Premium-Grade Natural Macadamia Oil, 42.3 fl oz (1.25l). A Dr. Gundry favorite. 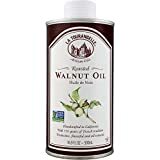 The La Tourangelle Roasted Walnut Oil 16.9 Fl. Oz., All-Natural, Artisanal, Great for Salads, Grilled Fish and Meat, or Pasta. A Dr. Gundry favorite. 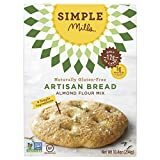 The Simple Mills Almond Flour Mix, Artisan Bread, 10.4 oz. A Dr. Gundry favorite. The Organic Tapioca Flour/Starch (2.5lbs) by Anthony's, Gluten-Free & Non-GMO. A Dr. Gundry favorite. The Otto's Naturals Flo 100% Natural Cassava Flour Made from Yuca Root Bag, 2 Pound, (Pack of 1). A Dr. Gundry favorite. 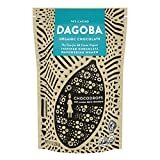 The DAGOBA Organic Chocodrops, 8 Ounce. A Dr. Gundry favorite. The Bob's Red Mill 2531C244 Whole Grain Sorghum 24 Ounce. A Dr. Gundry favorite. The Miracle Noodle Zero Carb, Gluten Free Shirataki Pasta and Rice, 6 bag Variety Pack, 44 ounces (Includes: 2 Shirataki Angel Hair, 2 Shirataki Rice and 2 Shirataki Fettuccini). A Dr. Gundry favorite. 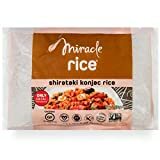 The Miracle Noodle Shirataki Rice, Gluten-Free, Zero Carb, Keto, Vegan, Soy Free, Paleo, Blood Sugar Friendly, 7oz (Pack of 6). A Dr. Gundry favorite. The Gold Mine Gluten-Free Raw Kelp Noodles - Low-Carb, Low-calorie and Fat-Free - 2 lbs. A Dr. Gundry favorite. 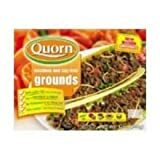 Quorn Foods Meat Free Beef Grounds, 12 Ounce - 12 per case. The Quorn Foods Meat Free Beef Grounds, 12 Ounce - 12 per case.. A Dr. Gundry favorite. The Follow Your Heart VeganEgg, 4-Ounce Carton (Pack of 2). A Dr. Gundry favorite. 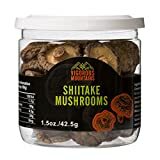 The VIGOROUS MOUNTAINS Dried Shiitake Mushrooms 1.5 Ounce Shitake Mushroom. A Dr. Gundry favorite. The 100% Grass Fed Ground Beef Bricks 85% Lean, 15% Fat (4 pack). A Dr. Gundry favorite. 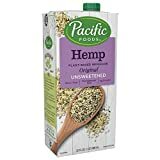 The Pacific Foods Hemp Original Unsweetened Plant-Based Beverage, 32oz, 12-pack. A Dr. Gundry favorite. 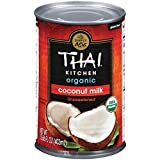 The Thai Kitchen Organic Unsweetened Coconut Milk, 13.66 fl oz (Pack of 6). A Dr. Gundry favorite. The DELITIA Butter Buffalo Milk, 8 Ounce. A Dr. Gundry favorite. 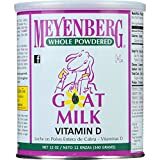 The Meyenberg Goat Milk - Powdered, 12-Ounce. A Dr. Gundry favorite. The Dagoba Organic Chocolate Bar, Eclipse (Extra Strong Dark Chocolate), 2-Ounce Bars (Pack Of 6). A Dr. Gundry favorite. 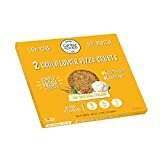 The Cali'flour Foods Original Italian Cauliflower Pizza Crusts - KETO, Gluten Free, Low Carb - 1 Box (2 Total Crusts Per Box). A Dr. Gundry favorite. The The Real Coconut Gluten Free Coconut Flour Tortilla Chips 5.5oz (Himalayan Pink Salt). A Dr. Gundry favorite. The SeaSnax Roasted Seaweed Grab and Go Packs, .18-Ounce (Pack of 12). A Dr. Gundry favorite. 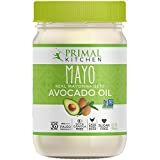 The Primal Kitchen, Mayo with Avocado Oil, 12 oz. A Dr. Gundry favorite. The Bragg Coconut Aminos, All Purpose Seasoning, 10 Ounce. A Dr. Gundry favorite. The Seasonello Fine Sea Salt by Caber (10.6 ounce). A Dr. Gundry favorite. 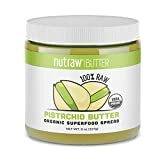 The Nutrawbar, 100% Raw Pistachio Butter, Organic Superfood Spread 8oz. A Dr. Gundry favorite. The Just Like Sugar Table Top Natural Sweetener (Chicory Root Sugar Substitute), 16 oz. A Dr. Gundry favorite. The Swerve Sweetener, Granular, 12 Ounce. A Dr. Gundry favorite. The Nature Botanical Farms 100% Pure Yacon Syrup, All Natural Sugar Substitute, Metabolism Booster, 8 oz. A Dr. Gundry favorite. 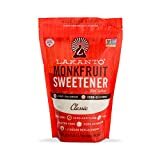 The Lakanto Monkfruit 1:1 Sugar Substitute | 28 oz NON GMO (Classic White, 1.76 Pounds). A Dr. Gundry favorite. The The Dirt All Natural Whitening Sweet Cinnamon Coconut Oil Toothpaste - 72 Gram. A Dr. Gundry favorite. The Purelygreat Natural Deodorant Stick - Tea Tree - EWG Verified - Vegan, Cruelty Free - No Aluminum, No Parabens - Essential Oils. A Dr. Gundry favorite. 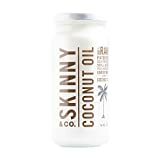 The SKINNY and CO. 100% Raw Virgin Skinny Coconut Oil for Skin and Hair and Supplement (16 fl oz.). A Dr. Gundry favorite. 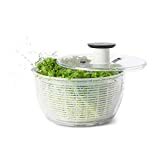 The OXO Good Grips Salad Spinner, Large, Clear. A Dr. Gundry favorite. 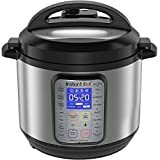 The Instant Pot DUO Plus 60, 6 Qt 9-in-1 Multi- Use Programmable Pressure Cooker, Slow Cooker, Rice Cooker, Yogurt Maker, Egg Cooker, Sauté, Steamer, Warmer, and Sterilizer. A Dr. Gundry favorite. The Blendtec Total Classic Original Blender - WildSide+ Jar (90 oz) - Professional-Grade Power - 6 Pre-programmed Cycles - 10-speeds - Black (Certified Refurbished). A Dr. Gundry favorite. 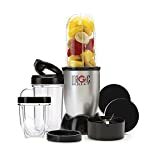 The Magic Bullet Blender, Small, Silver, 11 Piece Set. A Dr. Gundry favorite. Gundry MD is a participant in the Amazon Services LLC Associates Program, an affiliate advertising program designed to provide a means for sites to earn advertising fees by advertising and linking to www.amazon.com. Amazon offers Gundry MD a small commission on products sold through their affiliate links. PLEASE NOTE: These links are provided for your convenience only. Gundry MD accepts no liability for any damage or loss, however caused, in connection with your use of Amazon.com or any products purchased on Amazon.com.